With a soothing and restorative blend of Mandarine Red, Geranium Rose and Ylang-Ylang essential oils, this body oil will relax your mind and body. Ideal at the end of a long day, for it has a calming, mood-lifting effect! Mandarin red ha..
Fighting rheumatism Cinnamon bark oil is a natural soother and can be used to relieve the pain of various complaints, including rheumatism. 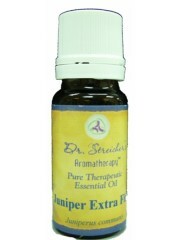 This aromatic oil also has anti-inflammatory, antiseptic and anti-spasmodic properties. 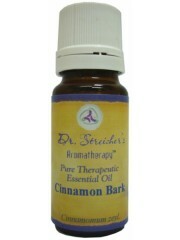 Cinnamon can ..
Laughter oil Clary sage oil possesses euphoric qualities and gives a sense of well being. 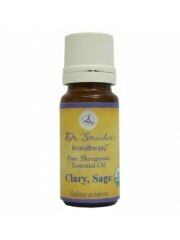 Clary sage is calms the nervous system, especially in cases of depression, stress and insomnia. 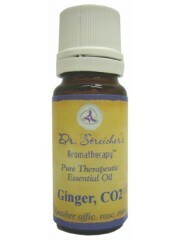 It relieves muscle pains, digestive disorders, and kidney dis..
Aromatherapy use - Used to stimulate digestion, increase circulation, as a liniment for muscle and joint pain, and as an antiseptic; useful for colds, nausea, preventing motion sickness and jet-lag Ginger Essential Oil is very beneficial for patie..
Dr. Streicher's Aromatherapy Invigorating Body Oil, 100 ml / 3.4fl.oz. With a stimulating and reviving blend of Basil and Rosemary essential oils. 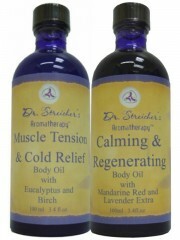 This body oil will boost your energy and melt your fatigue away. Ideal for times of increased physical and mental demands and for use before exercising. Rosemary oil is on..
Distilled from the same plant used to flavor gin, Juniper has a woody, fresh, balsamic scent. This woody, fresh, balsamic scent is distilled from the ripe berries of the same evergreen bush that is used to flavor gin. It was burnt by fifteenth ..
With a warming and analgesic blend of Birch, Eucalyptus Radiata, and Lemongrass Essentials Oils. 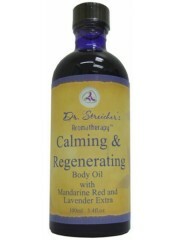 This body oil will relieve you of everyday stress. Ideal during the cold and flu season. Product size: 100ml (3.4oz) With a soothing and ..
With a warming and analgesic blend of Birch, Eucalyptus Radiata, and Lemongrass Essentials Oils. This body oil will relieve you of everyday stress. Ideal during the cold and flu season. Product size: 100ml (3.4oz) ..
Myrrh essential oil is known for its antimicrobial, balsamic, anti-inflammatory, sedative and antiseptic therapeutic properties. It is also a great body toner. It serves as an excellent stimulant for the body. Myrrh essential oil is of great use i..
Ravintsara essential oil is steam distilled from the leaves of a tree growing on the island of Madagascar. 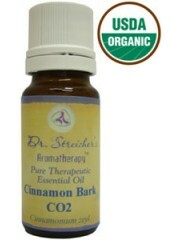 It has a soft, herbaceous aroma and is helpful for upper respiratory complaints and the flu. 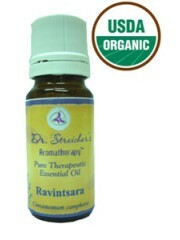 Ravintsara is used in both chest rubs and steam in..